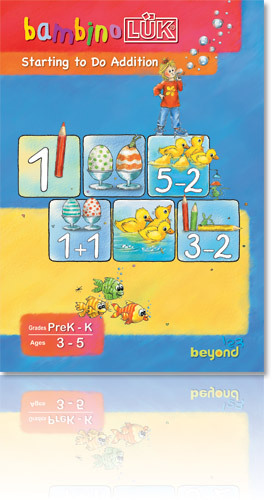 These workbooks provide enjoyable learning experiences in math to ensure that young children are continuously motivated. 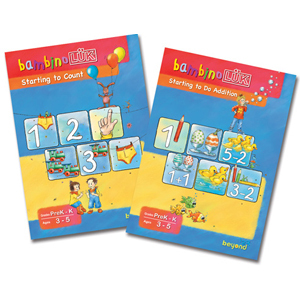 Exercises in the first workbook invite children to count, match, discover and name quantities and to learn numbers. The visual illustrations of addition and subtraction in the second wordbook give them an easy way to understand the concept of arithmetic. This developmental approach to math encourages and helps children develop their mathematical skills. 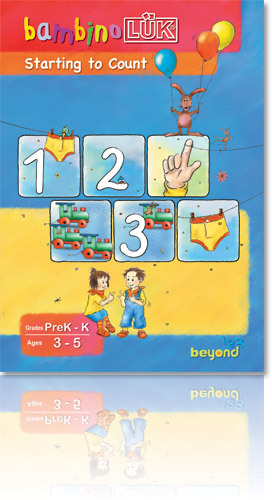 This workbook is ideal in establishing a young child?s first steps of future success in learning math. It is an excellent tool for parents who would like to expose their children to math but are concerned about overwhelming their children at too early an age. Through these playful activities, children learn to compare, count and look closely at everyday objects in their surroundings from a mathematical perspective. This helps them become familiar with the concept of numbers and serves as an introduction to basic arithmetic in an enjoyable way.